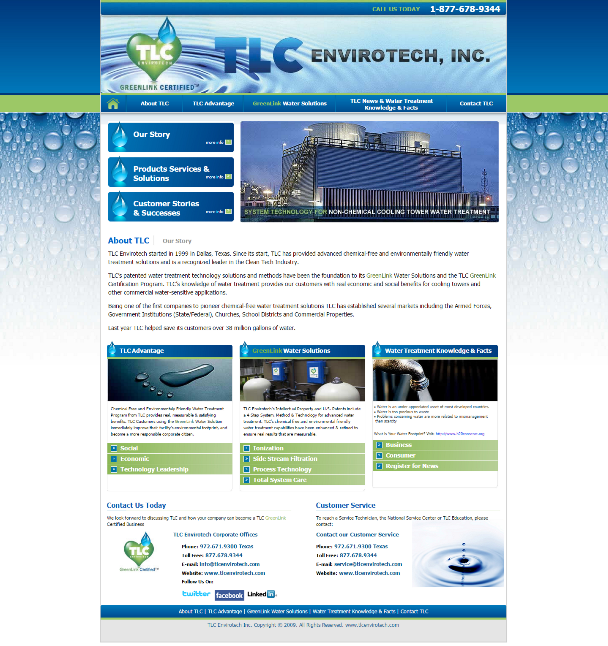 TLC Envirotech came to us looking to have a new website built for their company. We started by having our design team create a custom design concept of their understanding of our clients needs and vision for what the website could look like. The client loved their vision and we began building the website. Our client didn’t rally need or want a Content Management System so we constructed the website in straight PHP to keep it light and agile. Next we optimized the coding, images and content, to make the website load as quickly as possible and rank well in the Search Engines. Upon completing the project our client was provided with a website they could be proud of, that ranks well in Search Engines, and with web pages that load lightening fast. GTmetrix is a popular website that evaluates website performance and page load speeds. The screen capture image below is a snapshot of the performance report for the TLC Envirotech website.